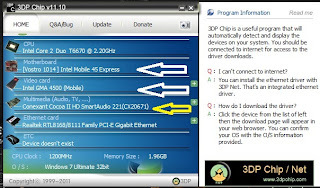 Hack - Terminator: HOW TO FIND YOUR COMPUTER OR LAPTOP DRIVER'S???? HOW TO FIND YOUR COMPUTER OR LAPTOP DRIVER'S???? How to find your computer or laptop driver? or Don't know which driver should I install in my system or computer?then Don't worry be happyyyyyyyyy!!!! 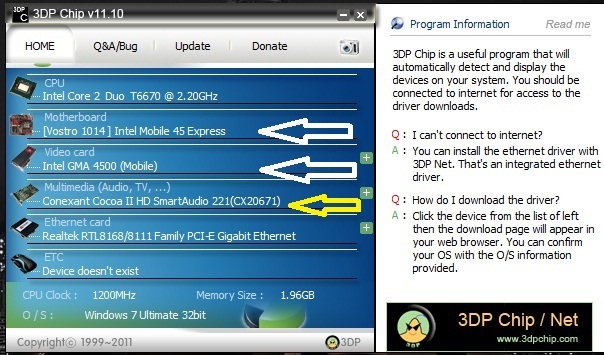 Step1:Download 3DP chip as shown in image,after downloading Do not update it. Step3:Save the File & install into your computer or laptop. then Restart your system so your Driver is okkkk now!!!! !.